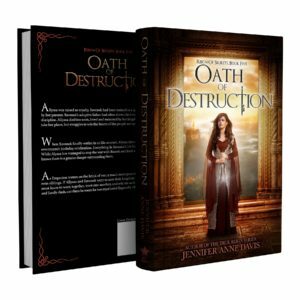 The fifth and final installment in the Reign of Secrets saga, OATH OF DESTRUCTION, is now available! Allyssa was raised as royalty. Savenek had been trained as a spy. Allyssa grew up doted on by her parents. Savenek’s adoptive father had often shown his love through strict training and discipline. Allyssa died too soon, loved and mourned by her kingdom. Savenek is supposed to take her place, but struggles to win the hearts of the people and parents who don’t know him. When Savenek finally settles in to life at court, Allyssa shows up alive, in time for their seventeenth birthday celebration. Everything in Savenek’s life feels like it’s exploding again. While Allyssa has managed to stop the war with Russek and form a powerful alliance, Savenek knows there is a greater danger surrounding them. As Emperion teeters on the brink of war, a much more personal battle plays out between twin siblings. If Allyssa and Savenek want to save their kingdom from being destroyed, they must learn to work together, trust one another, and rely on each other. When duty, loyalty, and family clash, can there be room for two royal heirs? Especially when one is being a royal pain? 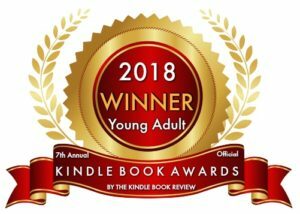 I’m thrilled to announce that Cage of Deceit WON the 2018 Kindle Book Award (Young Adult Category).